Sharp’s Brewery has launched a new charitable advertising campaign for its flagship Doom Bar ale. The £1 million ‘In Our Elements’ campaign, which launches this summer, will look to consolidate Doom Bar’s position as the leading cask ale brand in the UK. The brewery will also donate approximately £25k to Cornish environmental charity, Surfers Against Sewage, through the use of ethical advertising platform, Good Loop. Sharp’s is the first Cornish company to work with Good Loop, which has also created donations for other worthwhile causes via globally renowned brands such as Toms, Unilever, Coca Cola and Nestle. Sharp’s is also the first alcohol brand that the platform has worked with. ‘In Our Elements’ is Doom Bar’s first ever ‘above-the-line’ brand campaign. Above-the-line advertising means media is used to promote brands and reach out to the target consumers on a wide scale. The new campaign will draw on the Sharp’s team’s “inspirational” Cornish backdrop, focusing on the elements of air, sea and rock which make Cornwall such an inspiring place to live and work. 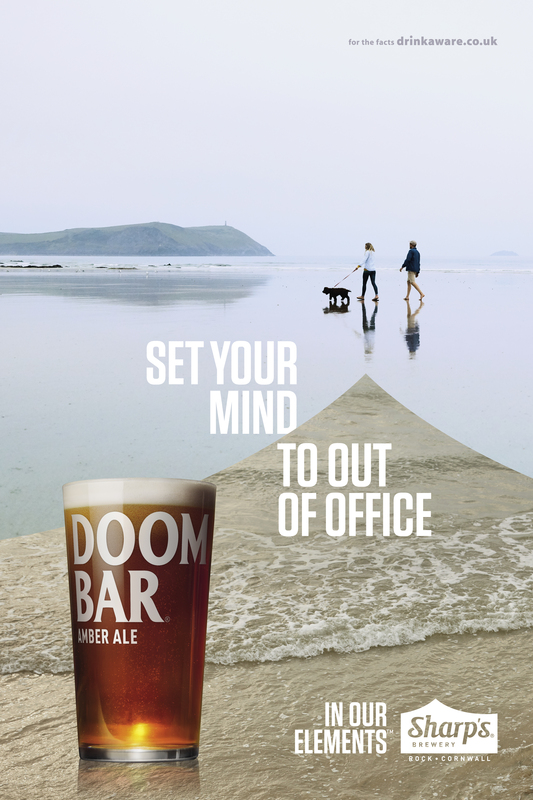 Senior brand manager, James Nicholls, said: “By investing in our first ever above-the-line campaign we are sharing our unwavering passion for our home in Cornwall and our flagship beer, Doom Bar, with consumers both existing and new. “What is so unique about this campaign, however, is that we are continuing our ongoing commitment to ‘giving back’ and are delighted to be the first south west-based company to work with Good Loop and its innovative platform.